Getting started with digital marketing, in general, is challenging. You have a lot to figure out and plenty of tasks to tackle. The challenges are even more complex when you also want to use multiple digital marketing instruments to develop a strong online presence. The beginning of your digital marketing campaign is often frustrating, simply because you don’t always see results immediately. The same can be said for developing social media presence for your brand, your business, or yourself. Fortunately, there are ways you can gain traction early in the game. Don’t get frustrated by the slow growth of followers just yet; you need to get the word out that you are now on social media, so you can attract new followers. One of the best ways to do that is by working with influencers. Influencers already have thousands – even millions – of followers on various social media platforms. You can tap into their huge follower count and gain massive exposure through relevant influencers. There are several ways you can do this. You can choose to engage influencers on a more personal level and invest time in developing strong relationships with them. This is the more cost-effective way of working with social media influencers – in the long-run too – but it takes a lot of time before you can benefit from the relationship. Another approach is to engage influencers in paid campaigns. Depending on the influencers you work with, you can reach a vast number of viewers with a controlled budget. All social media platforms offer many opportunities to place ads. Twitter has its own ad network; so are Facebook, Instagram, and even LinkedIn. By using ads, you can display your content – and your social media profile – to a larger audience. Placing ads give you several extra benefits too. The ad campaigns can be very targeted depending on how you set them up. You can target potential viewers based on demographics, the people they follow, and other metrics. Ads are also instantaneous and relatively more affordable compared to paid influencer marketing campaigns. You produce everything from the wording of the ad to photos and videos that go along with the copy and have the ad network distribute that content to the right viewers. It is understandable that handling everything yourself is overwhelming. Social media is a big world, but an important element to your online presence and future digital marketing campaigns. If you want to get quick results in the most effective and efficient way, counting on the expertise and experience of top social media marketing companies is the way to go. 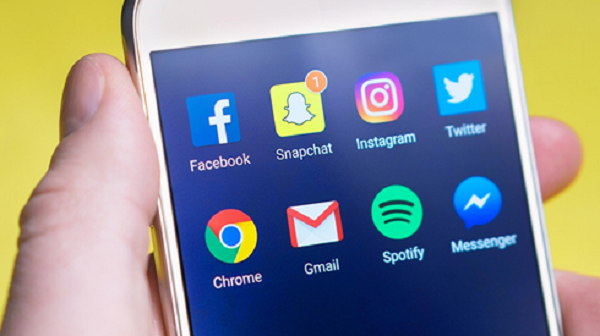 Top agencies are capable of maximizing the tools they have at their disposal to promote your social media presence and help you gain traction. They can work with influencers – having already maintained good relationships with them – or rely on ads, as well as do things the organic way. Gaining traction is an objective that can be achieved in a matter of days with experts assisting you every step of the way.